A balanced and healthy diet, is also beneficial in Minecraft. Agriculture 1.7.10 is a mod which is intended as “expansion” to farms, the hunger system in Minecraft, cooking and agriculture, adding the concept of “Good Food” the game. 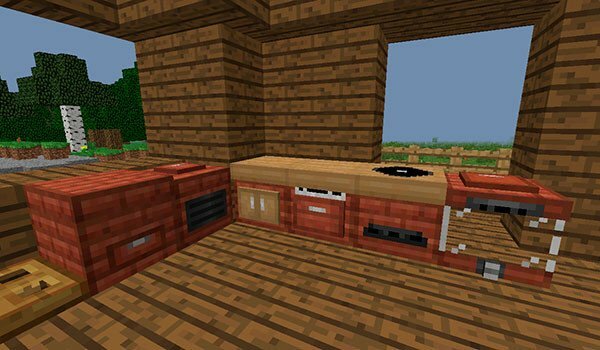 When installing the mod will find various appliances or machines, which are well adapted to the graphic line of game, and allow us to process and cook food that we get both the farm, how crop. We will have at our disposal a total of 6 machines and objects, including a fryer, granite to work, a new oven to cook slowly, a food processor that will allow us to grind food and mix to give rise to new ingredients, a kind of blender that also heats fluids and refrigerator, where preserving food. The mod allows us to create more than 150 new recipes that will allow us to maintain a balanced and healthy diet. Now your character will be much healthier and stronger, so life will regenerate more difficult times. How to install Agriculture Mod for Minecraft 1.7.10? Good food, now, is also important in Minecraft!